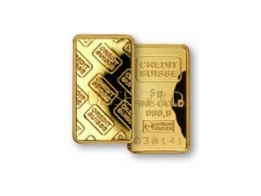 Buy Credit Suisse Gold Bars from Suisse Gold. 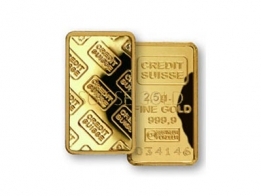 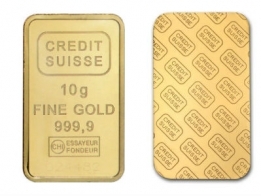 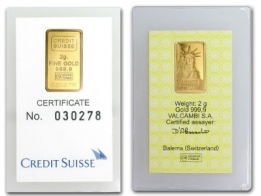 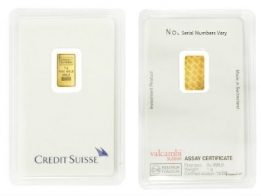 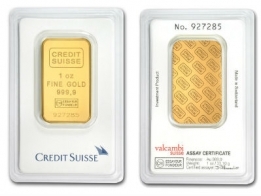 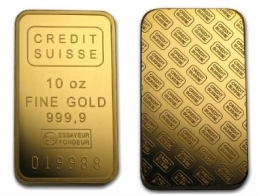 Credit Suisse gold bars are available in all sizes, from 1 gram to 1 kilogram. 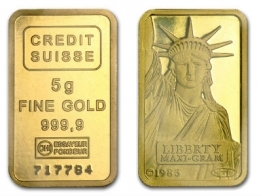 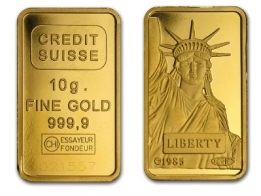 Credit Suisse Liberty gold bars are also available. 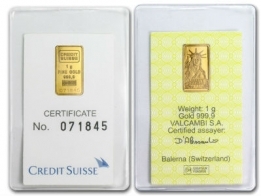 Please choose from worldwide delivery or Swiss Vault Storage.